Partnership is a cornerstone of the VillageReach model. Our valued partners – both institutional donors and technical partners – provide critical financial support, capacity and complementary expertise, empowering our teams to achieve our goals and impact. Bharti Airtel Limited is a leading global telecommunications company with operations in 20 countries across Asia and Africa. Headquartered in New Delhi, India, the company ranks amongst the top 3 mobile service providers globally in terms of subscribers. Bharti Airtel had over 335 million customers across its operations at the end of August 2015. BHT’s mission is to achieve this by building, deploying and maintaining innovative, robust and sustainable health care information systems suitable for the developing world in collaboration with government and health care workers. The Barr Foundation focuses domestically on providing quality education, mitigating climate change, and enhancing cultural vitality. Since 2010, Barr has also been exploring opportunities for global investments that deliver measurable improvements in the interconnected areas of livelihoods, health, environment, and education, predominantly in rural areas. Guided by the belief that every life has equal value, the Bill & Melinda Gates Foundation works to help all people lead healthy, productive lives. In developing countries, we focus on improving people’s health and giving them the chance to lift themselves out of hunger and extreme poverty. In the United States, we seek to ensure that all people—especially those with the fewest resources—have access to the opportunities they need to succeed in school and life. CHAI was founded in 2002 with a transformational goal: help save the lives of millions of people living with HIV/AIDS in the developing world by dramatically scaling up antiretroviral treatment. Concern Worldwide is an international, humanitarian organization dedicated to the reduction of suffering and working towards the ultimate elimination of extreme poverty in the world’s poorest countries. Since its foundation in 1968, Concern Worldwide – through its work in emergencies and long-term development – has saved countless lives, relieved suffering and provided opportunities for a better standard of living for millions of people. Foundation for Community Development is a Mozambique NGO focused on improving development activities for rural communities. The organization develops and implements a broad variety of health, education and economic development programs throughout Mozambique. Gavi is an international organization that was created to improve access to new and underused vaccines for children living in the world’s poorest countries. 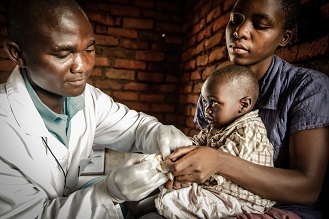 Based in Geneva, Switzerland, Gavi is the Vaccine Alliance, which brings together public and private sectors with the shared goal of creating equal access to vaccines for children, wherever they live. Guided by expertise of global health and development partners such as Bill and Melinda Gates Foundation, Global Good applies invention to create the greatest possible impact on life in developing countries. Their inventors, scientists, and engineers explore pressing health and development issues from multiple angles and apply inventive solutions accordingly in areas such as disease modeling, vaccine logistics, vector management, malaria and tuberculosis diagnostics, and agricultural productivity. Global Health Corps provides young professionals from diverse backgrounds to work on the frontlines of the fight for global health equity. The International Training and Education Center for Health (I-TECH) is global network within University of Washington’s Department of Global Health, in partnership with the University of California, San Francisco. I-TECH’s 700 worldwide staff work with local partners to develop skilled health care workers and strong national health systems in resource-limited countries. I-TECH promotes local ownership to sustain effective health systems. Johnson & Johnson is among the largest corporate donors, having contributed $966 million in cash and products toward nearly 600 programs in more than 50 countries, impacting tens of millions of lives worldwide. John Snow, INC is a public health management consulting and research organizations dedicated to improving the health of individuals and communities throughout the world. The Miami Foundation provides civic leadership, bringing stakeholders together to tackle issues of concern in our community. Working together with Fundholders and community partners, the Miami Foundation leverages collective knowledge, creativity, and resources for a greater impact. The Malawi Ministry of Health works to develop of a sound delivery system capable of promoting health; preventing, reducing and curing disease; protecting life and fostering general well-being and increased productivity. MOH vision draws on the national agenda of social and economic development of the country. Promote the health and well-being of the Mozambicans, paying particular attention to vulnerable groups through innovative interventions and provide good quality health care and sustainable, making them gradually accessible to all Mozambicans with equity and efficiency. A visão da MISAU inspira-se na agenda nacional de desenvolvimento económico e social do país. Promover a saúde e o bem estar dos moçambicanos, com especial atenção para os grupos vulneráveis através de intervenções inovativas e prestar cuidados de saúde de boa qualidade e sustentáveis, tornando-os gradualmente acessíveis a todos os moçambicanos com equidade e eficiência. MSF (Doctors Without Borders) is an international humanitarian-aid NGO that operates projects to address human strife in war-torn regions and in developing countries facing endemic diseases. The organization deploys doctors, nurses and other medical professionals, logistical experts, water and sanitation engineers and administrators to support medical aid projects in over 70 countries. Mulago is a private foundation designed and built to carry on the life work of Rainer Arnhold by focusing on solutions to health, poverty, and conservation in the world’s poorest places. MSH works to save lives and improve the health of the world’s poorest and most vulnerable people by closing the gap between knowledge and action in public health. Nexleaf Analytics is a nonprofit technology company that builds wirelessly connected devices and sensor technologies for critical public health and environmental interventions. The Oasis Fund invests in commercially viable companies that deliver essential goods and services which directly benefit low income communities by providing access to affordable housing, healthcare, education, energy, livelihood opportunities, water, and sanitation. PATH’s mission is to improve the health of people around the world by advancing technologies, strengthening systems, and encouraging healthy behaviors. The Organization’s areas of focus are children’s health and nutrition; HIV, AIDS, and tuberculosis; reproductive health; and vaccines and immunizations. The U.S. President’s Emergency Plan for AIDS Relief (PEPFAR) is the U.S. Government initiative to help save the lives of those suffering from HIV/AIDS around the world. This historic commitment is the largest by any nation to combat a single disease internationally, and PEPFAR investments also help alleviate suffering from other diseases across the global health spectrum. For more than a century, The Rockefeller Foundation has been dedicated to a single mission: promoting the well-being of humanity throughout the world. Today, the Foundation pursues that mission with dual goals of building greater resilience and advancing more inclusive economies. The Seattle International Foundation (SIF) is a supporting organization to the Seattle Foundation that supports worldwide poverty alleviation efforts through grant-making and other activities, with a strategic focus on Central America. The Skoll Foundation drives large scale change by investing in, connecting and celebrating social entrepreneurs and the innovators who help them solve the world’s most pressing problems. The Touch Foundation is bringing vital healthcare services to patients with the greatest unmet medical needs. Through collaborative partnerships with the Tanzanian and US governments, Touch is working to bring healthcare workers and clinical teaching faculty into the remote regions of sub-Saharan Africa to save lives. Thoughtworks is a privately owned global software delivery and products company that assists organizations with a humanitarian mission and broad reach to learn how to use technology to make an impact. The UN Commission on Life-Saving Commodities works to make thirteen life-saving commodities more widely available and used in developing countries to avert preventable maternal and children death. The Commission’s recommendations have an impact at the global level to improve the availability and supply of life-saving commodities for mothers and children, and at country level to improve distribution systems, create demand for them, and build know-how on when and how to use them. UNICEF is the driving force that helps build a world where the rights of every child are realized. UNICEF works with others to overcome the obstacles that poverty, violence, disease and discrimination place in a child’s path. UNFPA is the lead UN agency for delivering a world where every pregnancy is wanted, every childbirth is safe and every young person’s potential is fulfilled. UNFPA expands the possibilities for women and young people to lead healthy and productive lives. The UW Global Medicines Program generates and disseminates new methods and knowledge on assessing and improving the safe and rational use of medicines to improve the use, safety, quality, risk-benefit profile, cost-effectiveness, and affordability of medicines in resource-poor countries. The Vitol Group is a Swiss-based, Dutch-owned multinational energy and commodity trading company. The Vitol Foundation, founded in 2002, supports projects that fall under four programme areas critical to enabling children living in deprivation to reach their potential in life: Health; ‘WASH’ (Water, Sanitation & Hygiene); Education; and Livelihoods. Vodacom is an African mobile services provider that uses communication solutions to bring about positive social change. The William Davidson Institute (WDI) is a non-profit research and educational institute established at the University of Michigan that integrates healthcare and base of pyramid (BoP) research, educational outreach, field-based collaborations, and development consulting services, to create long-term value for academic institutions, partner organizations, and donor agencies active in emerging markets. The World Bank is a vital source of financial and technical assistance to developing countries around the world. It is not a bank in the ordinary sense but a unique partnership to reduce poverty and support development.